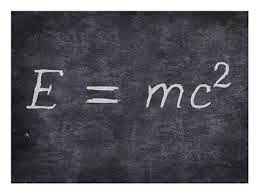 In most school, college and undergraduate courses of Special Theory of Relativity (STR) there is a misconception that uses this formula to infer a particle mass from the particle's full energy, for example a mass is assigned to a moving photon which is a particle of zero mass. Actually, the mass is an invariant. There is a well written explanation of a conception of mass in Special Theory of Relativity written by a russian theoretical physicist L.B. Okun .